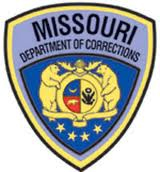 When you have a loved one incarcerated in a Missouri prison or jail you will have many questions concerning your inmate and how you will have contact with them. The following pages will answer many frequently asked questions you will have like how to send your inmate money and mail, what the visiting hours and application process is. On PrisonPro.com we give answers to many of these questions including how you can talk to the inmate over the phone. If you can't find the answer to your prison or jail related question you can ask it on the facilities page and our staff will work quickly to answer it. We continually are updating our visiting hours and because many of the correctional facilities often rotate hours, we ask all of our users to call and verify the visiting hours prior to their visit. If you notice any of our information is inaccurate or contains an error, please let us know immediately by leaving a comment at the bottom of that facilities page so our staff can update the page.